Somehow, saying we are Cruelty Free seems better than saying We Do Not Test On Animals. Just the words ‘test on animals’ never felt right to write, as the images it paints in my mind are of rats in cages as scientists in white jackets injected them with experimental drugs. It is images of fat rats, and skinny rats, and rats that are lethargic and act weird. And I didn’t want that image portrayed or connected to Piggy Polish. 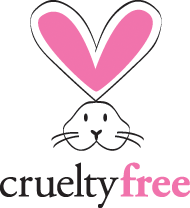 It seems odd to me that we even have to announce that our company is ‘Cruelty Free’, I mean, shouldn’t that be something that is taken for granted? Shouldn’t companies that are NOT Cruelty Free have to post that they DO test on animals, instead of the other way around? With all the talk about transparency in labeling for ingredients, why not take it a step further and have transparency in whether or not you test on animals? There is a lot of talk about indie brands and what they stand for. It’s the mindset of starting something worthy because you truly wanted to make a difference and offer a product that means something. Different ingredients. Different packaging. Different concepts. Kind of like Woodstock for the cosmetic world. It’s the entrepreneurial spirit. It’s the VanGogh’s and the Ford’s and the Gates and the Meijer’s who begin with an idea and an ethos of a company in the hopes that they can build something great, yet will stay true to it’s humble beginning and never forget who you really are. And then slowly things will change. Ideals will change. What you stand for will change. Your determination to stick to your roots will change. Your company will get bought out. Customers will leave you. And before you know it, the very reason you started will be lost. And I can’t help but wonder, is it really worth it? I am not sure what is right or what is wrong in building a company, or a brand. But what I do know is that everything a company stands for should never be compromised. It’s like any other type of building, the foundation is what keeps it standing tall and protects it from all that is thrown at it. Without a strong foundation, companies will fall. Without remembering why you started the company in the first place, all will be lost and will crumble. Soon the company will lose all connections to the foundation. And we need a strong foundation. We need to remember, and never forget, who we are. Who we truly are. Cruelty Free. Shouldn’t we all be Cruelty Free?